There’s no one way to go about finding the best products that fashion and the internet have to offer. Often, we’ll turn to customer reviews to give us insights from our fellow shoppers, and other times, we’re scouring the Instagram accounts of our favorite influencers to discover which brands we need on our radar. However, with the help of LiketoKnow.it, we’ve been analyzing intel to understand which trends are not only getting attention on Instagram but actually leading to sales, too. The latest findings shed light on handbag styles specifically and say a lot about which ones stand the test of time. 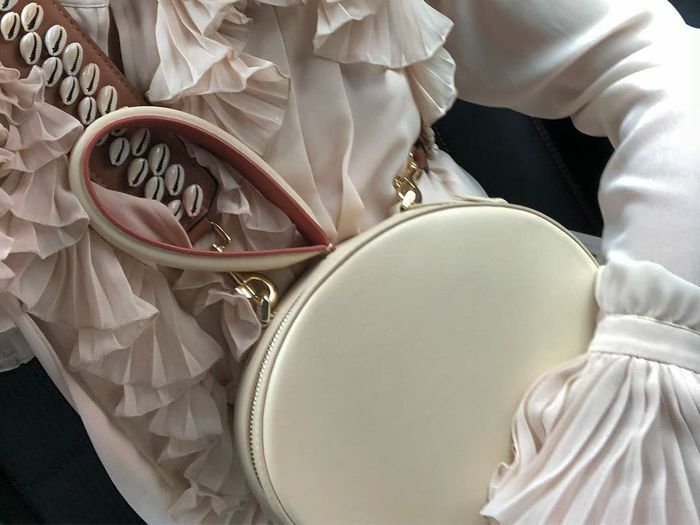 We asked LTK to find out which bags styles are currently selling the best, and though some results speak to of-the-moment trends, the overall takeaway is that classic silhouettes are still currently the top earners. Below, see which five bags people simply can’t scroll past. Blame it on practicality, but LTK says that work totes are still one of the most popular styles selling via Instagram. The top seller above is seen in a nice, simple neutral shade, but feel free to switch it up with a bolder color or pattern. A classic shoulder bag silhouette is also a top seller right now, according to LTK. While more-daring bag trends have run the gamut from micro- to-super-size, fuzzy to beaded, this functional shape and strap make it a purchase you’ll likely wear comfortably and confidently season after season. Bucket bags have been a popular purchase from LTK, as well, and it looks like that won’t be changing anytime soon. According to the site, the term “bucket bag” has risen in search 68% year over year. Belt bags and fanny packs may seem like a passing fad to some. However, as a trend that speaks to women who want to feel unencumbered, it’s a style we feel will continue to be popular for the foreseeable future. A different kind of hands-free carryall also makes the list for top-selling bags on Instagram. In this case, the Gucci bag above is not only a popular style but also one of the all-time best-selling products on LTK. Shop it, as well as others, below. Next, take a look at the seven dress trends that look amazing with the shoes of the season, cowboy boots.